The author points out that what should have happened in 2006 as a result of that ill-famed contest among astronomers was the drafting of a compromise that would have satisfied both "sides" -- planetary scientists via dynamicists and those scientists specializing in celestial mechanics. The dynamicists wanted an emphasis on the influence which heavenly bodies have on one another (thus their stipulation that a planet must "clear its orbit" -- sweep out all other materials in its orbit, something that none of the "legitimate planets have done) while the planetary scientists wanted to use time-honored criteria for declaring that something is a planet (rounded by its own gravity, i.e., being in a state of hydrostatic equilibrium; orbiting a star and not another planet, etc.). A compromise satisfying the elements of both positions should and could have been worked out on a truly scientific basis. Instead, the then-President of the IAU and her hand-picked IAU members decided it was a war against the planetary scientists, and they voted accordingly. And though most astronomers were really not satisfied with the outcome -- the dynamicists "won" by means of a secret vote to which 96% of the IAU were NOT invited, hardly a true win -- somehow the media got it into their collective head that science is done by voting, not by the scientific method, and they ignored the fact that the vote itself was a rigged vote that had little to do with what most of the membership of the IAU believed. So, true to their motto of "if it bleeds, it leads," they trumpeted the "death" of Pluto and its "ejection" from the Solar System and didn't bother to interview various astronomers or even scientists in other disciplines to learn how science is actually done (hint: it's not by vote -- physicists did not vote on how big the Planck length is, nor the actual mass of the Sun, nor did paleontologists vote on whether dinosaurs existed or not). Worse, they copied the attitude some scientists have of looking down their noses at laymen, assuming they are stupid and backward, and "sided" with astronomers who do regard laymen that way. The public, which had known Pluto is a planet for some three-quarters of a century, did not receive this sort of treatment well at all, and with that, the fight was on! 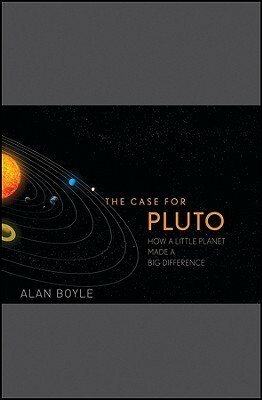 But Alan Stern, the head of the New Horizons project which reached its magnificently successful culmination on July 14, 2015, said well before New Horizons arrived at Pluto, what we are now discovering about Pluto is so fascinating that most people are going to drop the entire argument on its head and neglect to call an ambulance for it. 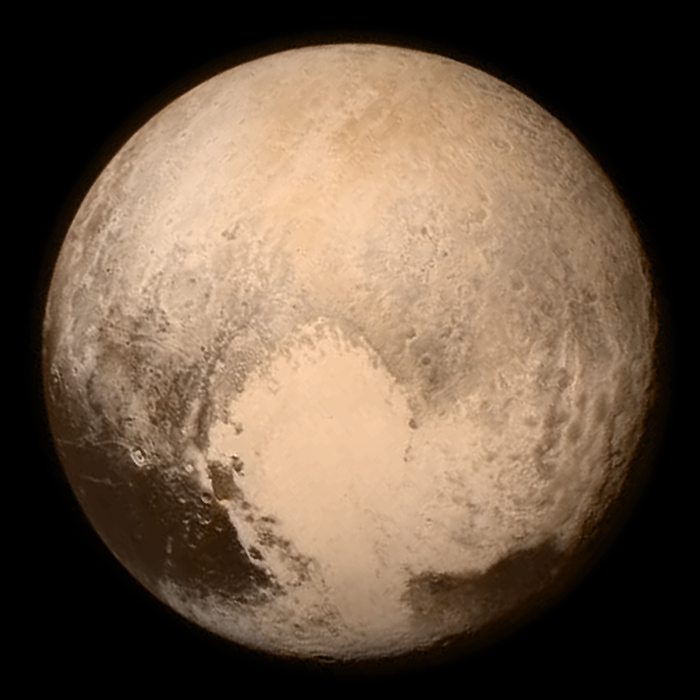 From Tombaugh Regio, the gorgeous heart-shaped region, like a valentine from God, that has just been named after the late astronomer Clyde Tombaugh, who discovered Pluto, to the large, dark area known as The Whale, and all the other places on this mysterious little world's surface, Pluto is stunning in its hadeology (= Hades geography) and the implications of what the New Horizons team is learning about Pluto now as the information from the probe returns to Earth. Pluto, the little planet that could, and the home of Hades and Persephone, judges of the dead, is up front forever in our minds, never to be "demoted" or "killed" (astronomer Mike Brown's term for it) again.